AMOCO Sticker 1950's - $10.00 : Bob Hoyts Classic Inspection Stickers, Add a Final Touch to your Restoration! 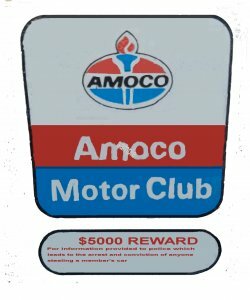 Here is a replica of the old AMOCO service sticker . Sticker is approx 3 inches wide by by 3 inches high.